We were proud to be the general contractors on this project designed by Jody McGuire of SALA Architects. 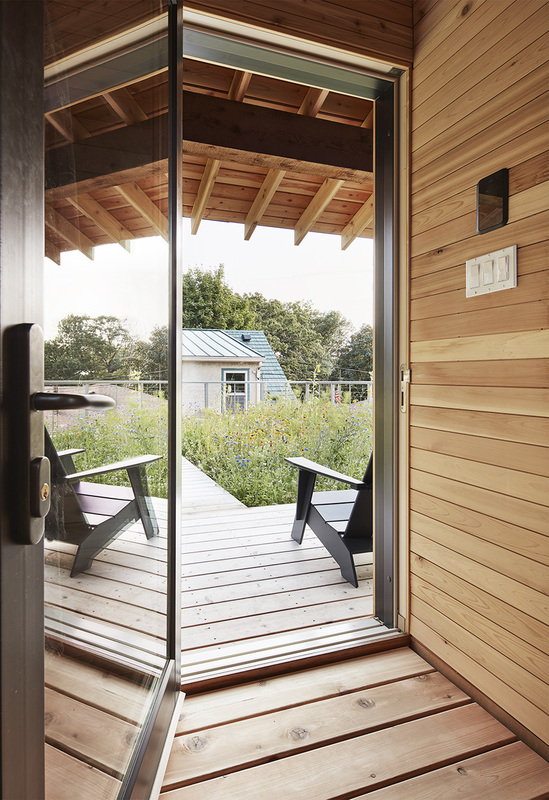 The results were of close collaboration between Jody, the homeowners and Craft Design Build. 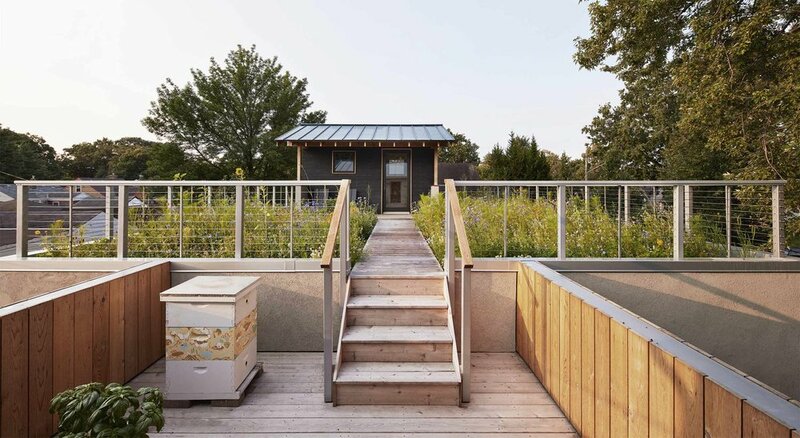 The homeowners were a very hands-on family that enjoyed brewing, bee keeping and gardening. They participated in every stage of the designing and building process, from feedback to the actual building. 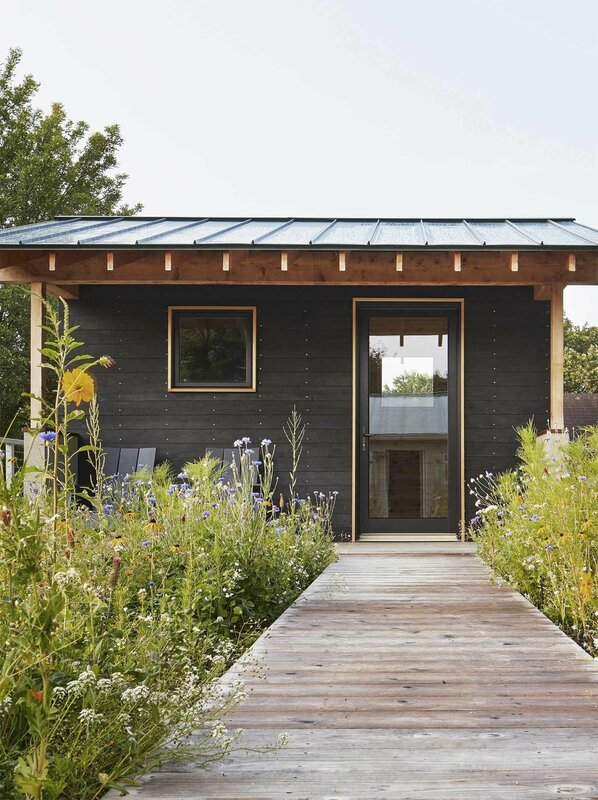 This project contains a micro-brewery, with native prairie garden and a sauna on top. A private cedar walkway connects the house to the sauna via the upper level of the house. 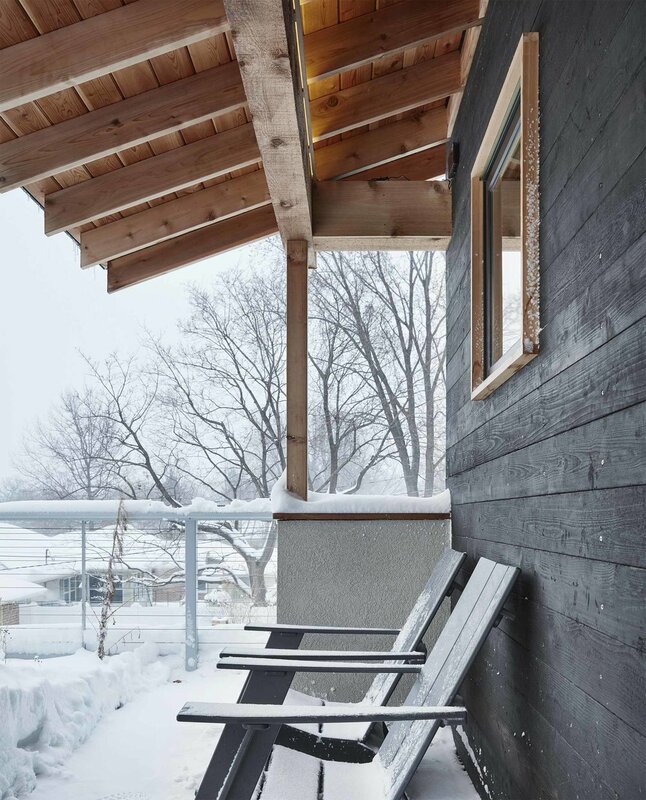 The exterior of the sauna is cladded in weather proofed cedar using shou sugi ban treatment (done by the clients themselves! ).